← Fat People Aren’t Good Workers. Do You Need More Education To Grow Your Career? I recently have had a couple of folks let me know that they have completed the next level of their education. One of them reminded me that I had responded to his “I’ll be x years old when I finish my PhD” by saying “You’ll be x years old anyway, you might as well have a PhD when that happens.” That sounds like something I’d say. And I stand by that. I don’t believe that you’re ever too old to get more education, and I think education by itself is extremely valuable. Given that, though, with the price of education today and the sacrifice it takes—away from family and aspects of work—I think it is worth asking whether or not you need more education to accelerate your career. What do you want to do with your career? What are your career goals? What industry, company, level, function, job? In what time frame? I know, I know—you don’t know. You don’t have to know precisely—you need to know generally. Industry is important. Do you want to be in the same industry that you’re in now? Do you want to be in a different industry? 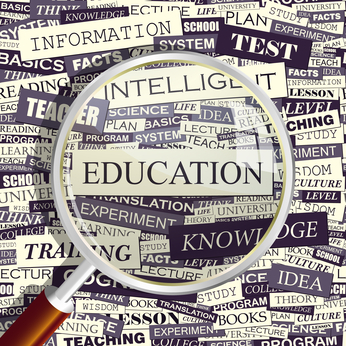 Does your industry require a certain level of education for you to be credible? If you industry requires a level of education to get to your career goal, or if you want to move into an industry that requires education then, YES, you need more education. What is the standard in your company? Look at the Executives. Do they all have advanced degrees? Do most of them? Are there classes of those with degrees—those who’ve been around for a long time don’t have degrees and those who are newer do have degrees. When they recruit, what are they looking for? (It’s important to do this analysis on a pretty regular basis and look at everything the company is recruiting for, not just education). If your company has a record of promoting from within, and those who get promoted don’t necessarily have advanced degrees, then NO, you probably don’t need more education. There are many ways to get your ticket punched. Quite frankly, getting education is the easiest. Degrees come with the assumption that you know what you need to do. You can certainly know what you need to know without formal education. It is just harder to prove to decision makers (including those who hold your career in their hands) that you know what you need to know without that degree or certification. In fact, I am self-taught in my primary area of expertise—organizational change management and organizational effectiveness. People who decide to hire me are generally looking for a degree in this area for confirmation of my abilities. I have to show them experience and writing and references to overcome my deficiency of related formal education. I’ve always managed to do it. Within companies and industries there are different education expectations within different functions. Finance people may be expected to have an advanced degree in Finance or an MBA or be a CPA, while technical resources may be expected to have a first degree in computer technology, but experience or certifications in certain systems or languages are much more important than additional degrees. On the other hand, portfolios may be more important than education or certifications for graphic artists. The standard within the function within the company can help you decide whether you need more education. What level do you want to reach? CEO? A recent U.S. News analysis of Fortune 500 CEOs indicated that of the 500 CEOs, 35 didn’t graduate from college. Two hundred had M.B.A.’s and about 140 had other graduate degrees. So . . . do you have to have a degree to be a CEO? Probably YES, you need an undergraduate degree, probably NO, you don’t need a graduate degree. But then, it depends on the other factors—industry, company, experience, getting your ticket punched. People could argue that some of the best CEOs (and then they could argue about ‘best’ too) of our times—Mark Zuckerberg, Bill Gates, Steve Jobs, Richard Branson, Barry Diller—didn’t have undergraduate degrees—why do you need one. You don’t. Do you have a killer idea and the energy, stamina and luck to drive it to market and beyond? If you don’t have a killer idea, then what skills do you have and how do you provide that you have them to the computers and people who are screening your resume and track record. Do you get results (and can prove it)? Then you are less likely to have to have additional education. Obviously, if you want to be a medical doctor, you need a lot of formal education. If you want to be a hospital administrator, it probably it isn’t a requirement. If you work at an organization that requires all Executives to have degrees, then you do. Even If You Don’t HAVE to Get a Degree/Certification, Should You? How important is a Degree/Certification/More Education to YOU? Many of us were raised to think that people with an education were “better.” Our families valued degrees, and we were taught to have that as a goal. Many of us think that we need a degree to be more valuable. If this is a big deal—even if you went through the analysis above about whether your career goals require more education—you should consider getting that education. Self-respect and pride are important for personal happiness and career success. Do You Find Learning Fun? Do You Do That More Easily In A More Formal Setting? If you can afford it, and have the time, then by all means—get more education. It can’t hurt (except in some cases, a PhD—I’ve seen hiring managers not hire PhDs because they thought they were too academic). Start with a ROI analysis. What will it cost? What will the return be? It’s perfectly ok to put intrinsic returns in—that’s what you’re evaluating when you decide to buy a big boat or a vacation home—but you do have to weigh the costs too. The dollars spent for the education v. the dollars spent for a better school (which might help with being a more credible candidate for career acceleration –65 (13%) of Fortune 500 CEOs have degrees from Harvard) v time spent away from family v likely increase in income over your lifetime v how much better you’ll feel about yourself. Just don’t do this assuming that it will automatically pay off in all the ways you think. Investigate this carefully.